Our collective agreement expired on August 31, 2014 – stay posted for bargaining updates once we begin to negotiate a new contract. 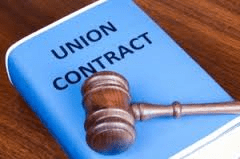 Due to the short time span between the last two rounds of negotiations and the fact that not much changed in our contract language , it was mutually agreed not to print a new contract book until the conclusion of the 2014/15 round of negotiations. You will find the contract that is currently active along with an attachment in regards to last round of local negotiation changes. Please note that changes the government made are not included, such as sick time and gratuity. If you have questions about the contract, please get in touch with a steward or executive member.